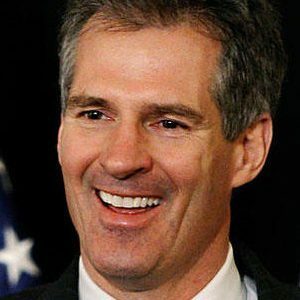 Former Republican Senator for Massachusetts, Scott Brown has recently fueled speculation that he may run for a 2014 Senate seat in New Hampshire. He appeared at the New Hampshire National Guard Officer and Enlisted Association in Manchester, New Hampshire last month, where some described his speech as “at times like a politician running for office”. Scott, however, told reporters that his main focus at the moment is to ‘recharge his batteries’. Scott is also available for speaking opportunities and is one of Capitol Hill’s experts on US banking regulation.